Hi everyone, greetings from Langara Island and the Clubhouse. 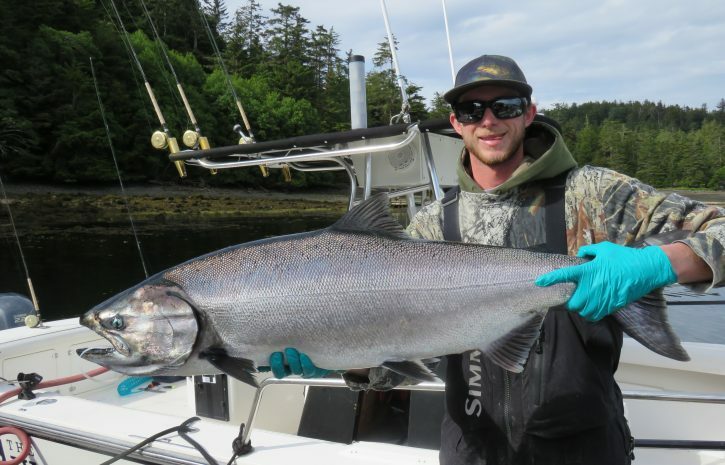 The weather has mellowed, the fishing good, and things are moving along nicely up here on Langara. Fishing today saw lots of mid to high teen fish with the Chinook over 20 being the nicer sized fish. 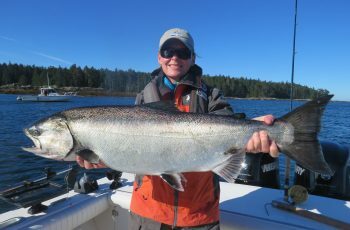 The area is flooded with 8 lb coho, infact my sounder was lit up like a christmas tree off the Jalun. So many fish, a single rod fishing at a time only. The needlefish and eagle show is amazing, yes Dixon Entrance West is plugged with salmon. 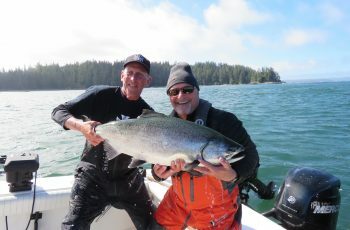 Things have cooled slightly in the pass, lots of room again and the fish are a bit smaller again but still plenty of fun. Especially when picked off on a downrigger, these teen sized fish scrap pretty good. They tend to be very acrobatic without that 8 ounces of lead hanging off the leader. 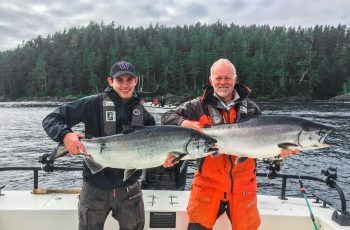 There still are tyee in this area so every bite is game on, as you never know when that monster is toying wiyj your cut plug. 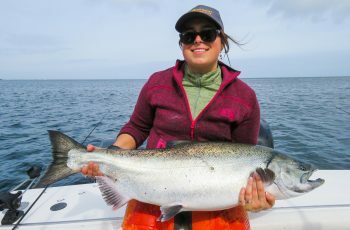 Coho Point is chocked with smaller springs, Cohos, to ten lbs, and oh ya Lions…today the Lions gave us a break in there, sure there is still stink eye being sent our way, and yes they are eating some of our fish. Wow does that islander reel hum with a 1500 lb rock dog screaming with a jack king in its mouth, heading to shore for a picnic. Really Good Times ha-ha. Winds are stiff on the outside, Northwest, waves crashing over the wheelhouse, hopefully they will mellow on Sat. as we have a halibut to catch this trip. 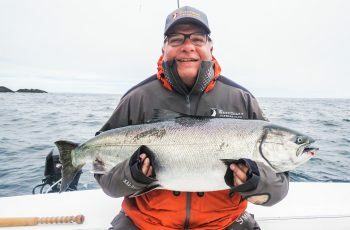 Things look positive for tomorrow, i just heard on the secret channel a tidbit of info that might prove valuable for tomorrows fishing, sounds like some is getting a few better fish in the area, stay tuned tomorrow for a full report! Off to visit some guests then bed for me, see you back here soon for a full report!